Red Velvet has always been a bit of a mystery to folks. With its chocolatey taste but crimson color, I could see where the confusion comes from. 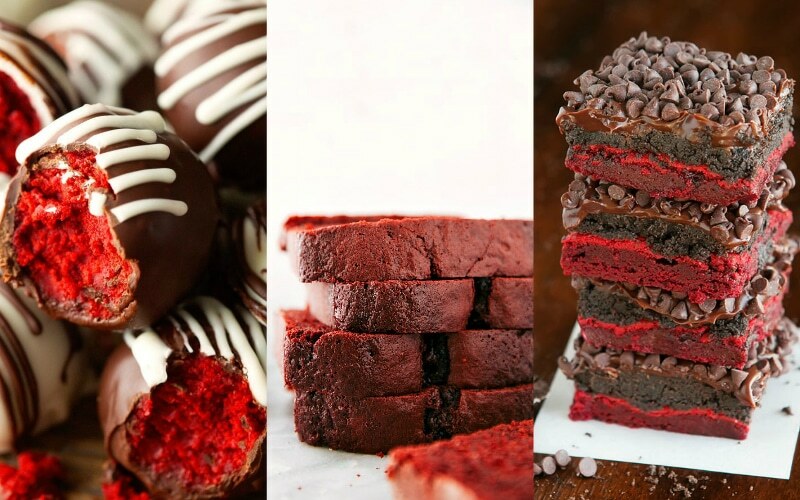 Would you be disappointed if I told you Red Velvet and Chocolate cakes are one in the same? I hope not, because tis true friends. Red velvet cake is really a chocolate cake for those who can't handle allllll the chocolate bang a traditional chocolate cake delivers. Toned down by the subtle cholate taste and the typical topping of cream cheese frosting makes all your sins atoned. 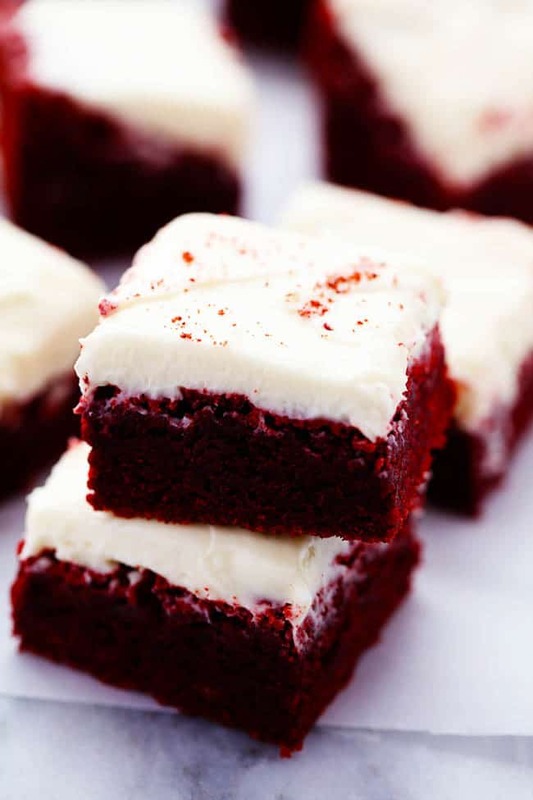 These red velvet recipes give you all the delight your heart could desire. Valentine's day is right around the corner. And in my home, valentine's day is synonymous with delicious desserts. Because my love is shown with food in your belly. If your people receive love in the form of treats, then one of these is gonna win hearts for you. I guarantee it! 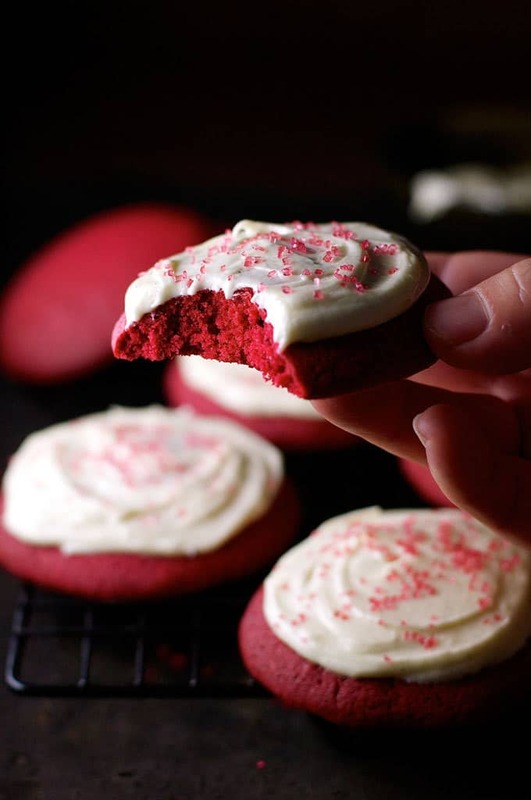 Red Velvet Cookies that taste just like red velvet cupcakes, except in cookie form. 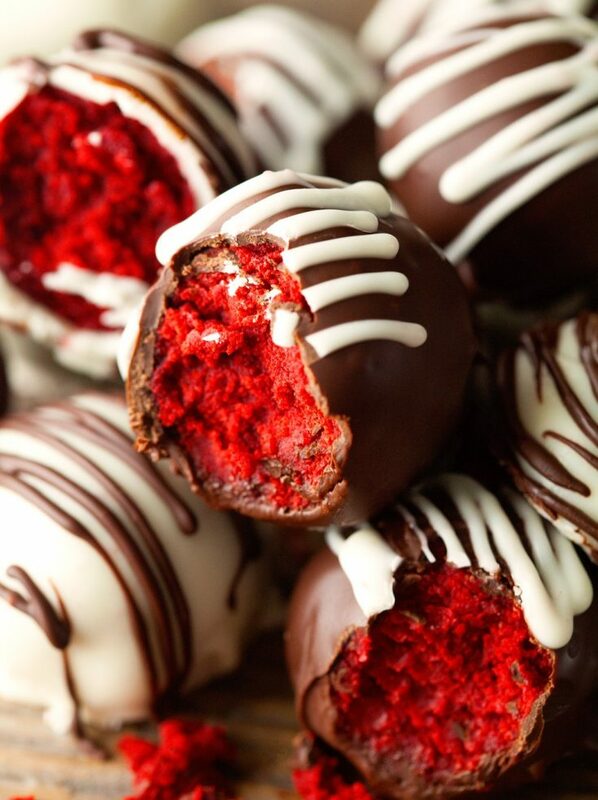 Red Velvet Cake Truffles are the ultimate Valentine's Day treat to make you fall head over heels for them. A classic red velvet cupcake with a velvety texture and buttery soft crumbs and topped with its best friend cream cheese frosting. Thick and heavy pound cake filled with delicious and rich red velvet flavors. 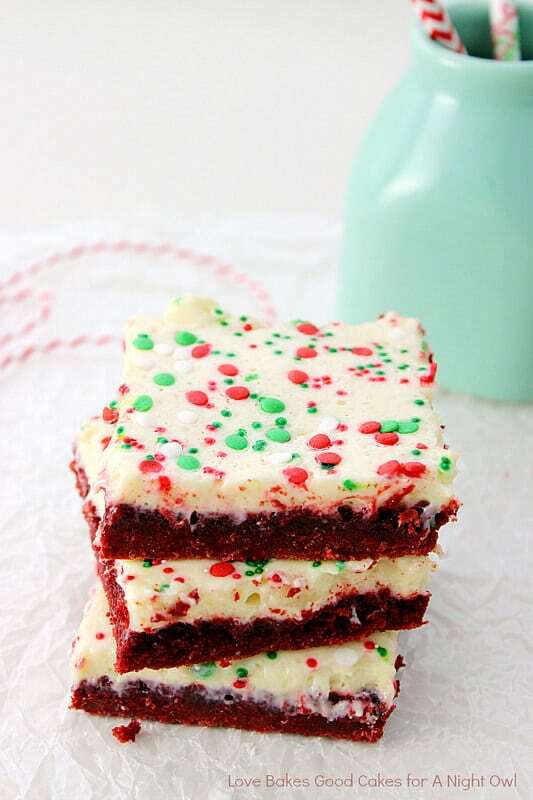 Simple yet staple making dessert bars that deliver all the delicious red velvet flavor you know and want. 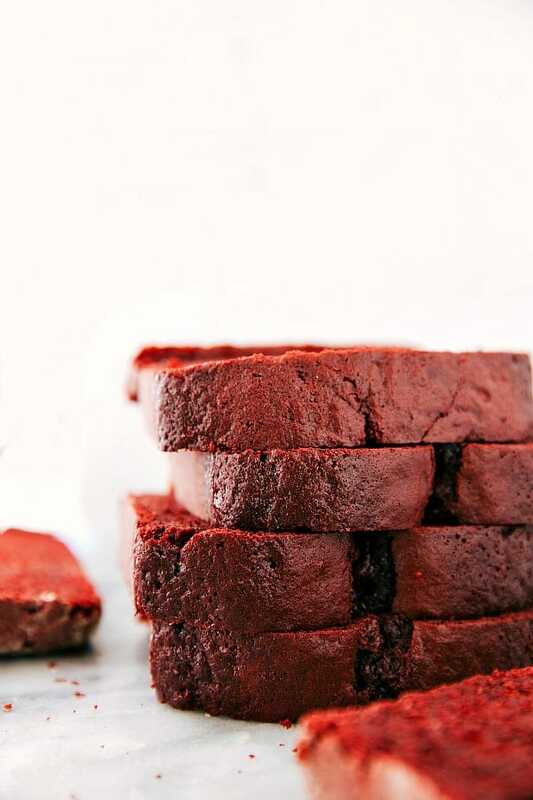 Red Velvet Brownies with Oreo Truffle Topping — Best Cake Mix Brownies! Four distinct layers, one of which is red velvet-ey deliciousness surrounded by all the rich chocolate flavor you could ever want. Moist and chewy brownies topped with it's best-known friend - cream cheese frosting. 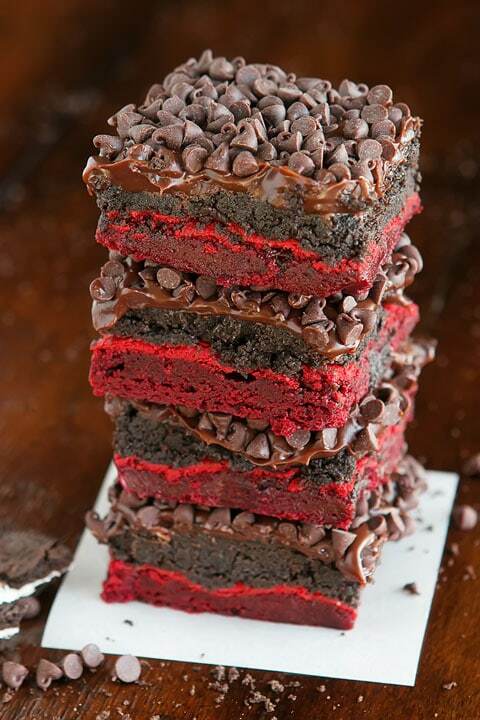 Almost like red velvet cake, but better when you thought it couldn't be. 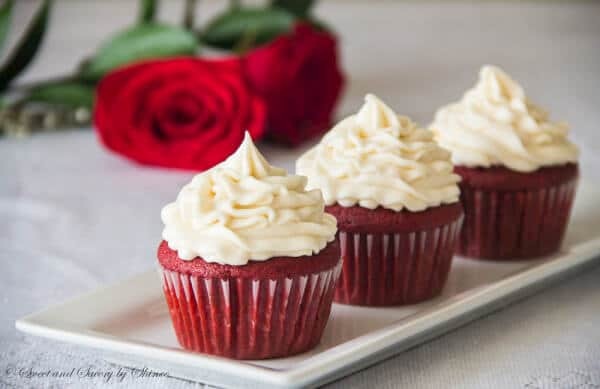 Save these Red Velvet Dessert Recipes for when you are ready to make them using the pin button below.